Get back your Data from any Data loss situation. Chandigarh is one of the first planned cities of Independent India and serves as the capital of the Indian states of Punjab and Haryana. Epitome of modernization and modern architecture during the 20th century in India, it is both a city and a Union Territory. The city serves as home to an array of different industries owing to its conducive infrastructure. 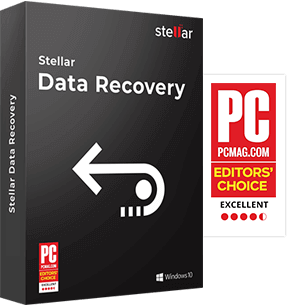 Stellar, one of the leading data recovery companies, has its recovery center in the city to cater to customers from nearby cities and states. Located in Sector 22 - C block, our recovery center is easily reachable from the railway station and the airport. The strategic location is advantageous for us as it is accessible to both existing and prospective customers from Mohali, Jalandhar, Ludhiana, Amritsar, Shimla and other nearby cities. Our data recovery center in Chandigarh caters to both individuals and business entities. Our state-of-the-art infrastructure coupled with a dexterous team of specialized data recovery professionals, makes it possible for us to offer you a vast array of data retrieval services. Some of our services include Hard Disk Recovery, Desktop/Laptop Data Recovery, Removable Media Recovery, Raid Data Recovery Services and Server Data Recovery. Stellar has been a key-player in providing data recovery services in Chandigarh since several years. Despite the existence of several local shops offering data retrieval service, we have earned the repute of being the best and the most trusted one with a success rate of 95%. 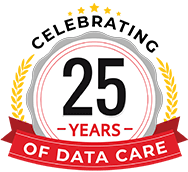 We are an ISO 9001:2015 & ISO/IEC 27001:2013 certified company with more than 23 years of experience and 3 million+ customers across the globe, we service over 120+ data recovery requests per month on an average. This makes us a cut above the rest. 5/5 March 15, 2019 Thanks for getting back my all video recording from DVR. A good job is stellar. I will recommend everyone for recovery. 4/5 March 02, 2019 We use Stellar services for our dead hard drive. Full data recovered. We are happy with the services of Stellar. Also, the staff is very nice!